What to eat on a hot day... 暑い日には.. 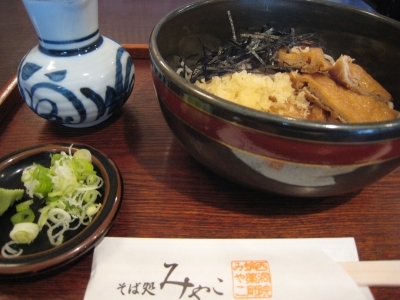 When you do not have much appetite due to the heat, COLD SOBA, buckwheat noodles, is the best!! Noodle shop, MIYAKO, is located only 30 meters away from Senraku House, and my favorite is COLD FRIED-TOFU SOBA as shown in the photo. It is delicious especially on a hot day like today!! 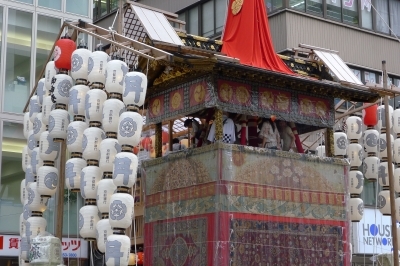 Tonight is YOIYOIYOIYAMA of Gion Festival. There should be soooo many people in the area where Senraku House is located. 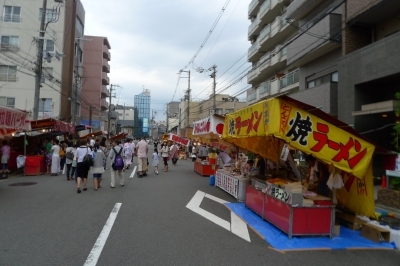 Yes, Senraku House is in a prime location for the festival. The photo was taken during the day, but many people were already walking around. Wonder how the area looks like now. It is 10:30pm on YOIYOIYOIYAMA Night. 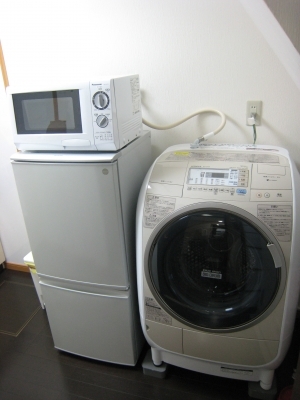 At Senraku House, we have replaced the washer with a more efficient, eco-friendly, and larger capacity washer/dryer. For large groups this was a frequent request.